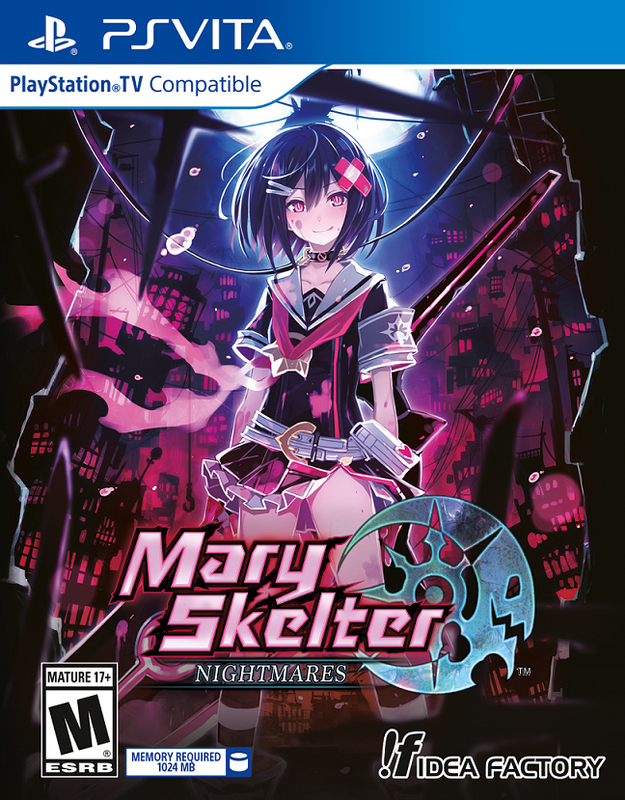 Mary Skelter: Nightmares is the latest title developed by Dengeki Bunko and Compile Heart and localized to North America and Europe in its entirety by Idea Factory International, Inc. 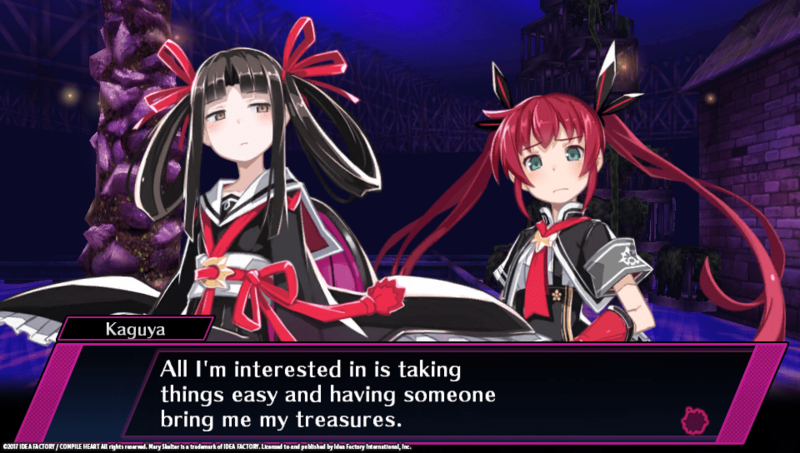 Shortly before Mary Skelter: Nightmares was released exclusively for the PlayStation Vita on September 19, 2017, for North America and September 22, 2017, for European audiences, Operation Rainfall was able to conduct an interview by e-mail with the Director for Mary Skelter: Nightmares, Atsushi Ishizuka. 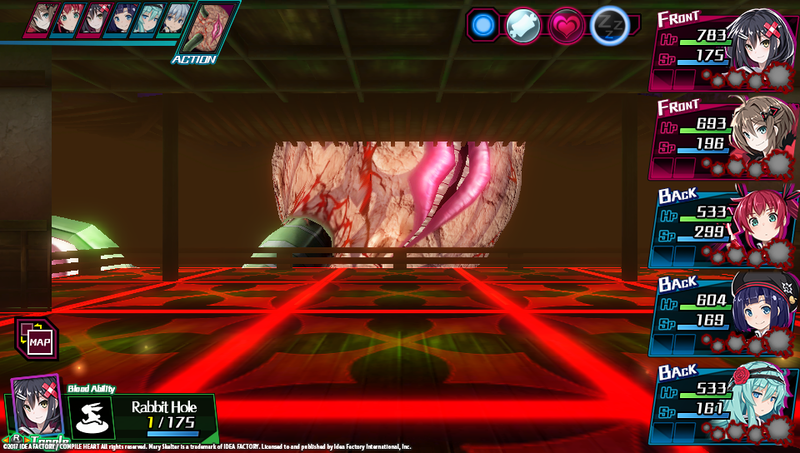 During this interview, Ishizuka-san gave us a ‘behind the curtain’ glimpse of how Mary Skelter: Nightmares came to be, why he chose the gameplay mechanics he did, and just why the Blood Maidens [OR Note: In the Japanese version, the ‘Blood Maidens’ were originally called the ‘Chishiki Girls Squad’] all have names taken from classic fairy tales. 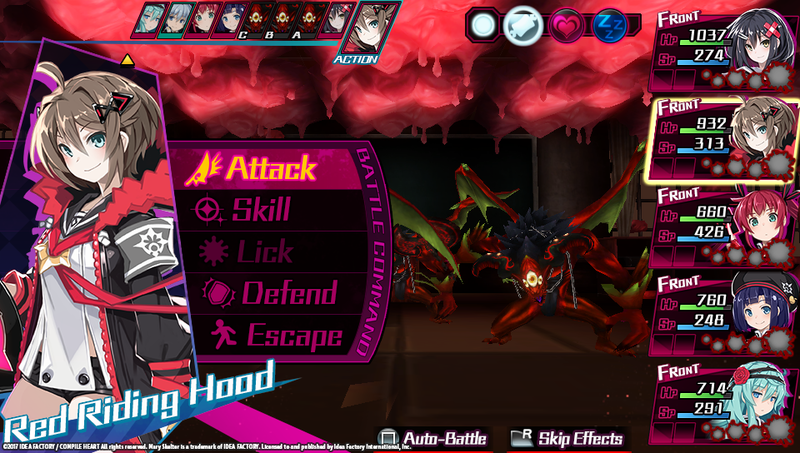 You can also check out an interview published earlier this month that Operation Rainfall did with Idea Factory International, Inc. and Arianne Advincula, their PR/Marketing Coordinator, about Mary Skelter: Nightmares, the localization process, if we will see Mary Skelter: Nightmares ever come to other platforms, and more! Operation Rainfall: This title is a partnership between Dengeki Bunko and Compile Heart. How did this partnership develop and how were the development duties shared between the two companies? Atsushi Ishizuka [Director for Mary Skelter: Nightmares]: When we started this project, we were in talks with Dengeki Bunko and Dengeki PlayStation to create a new IP that involves multiple media outlets. That said, Dengeki Bunko took the role of creating the world of Mary Skelter, working with the author, Yomoji Otono, to create its story. Compile Heart took these elements, and made them into a video game. Our role was to create a video game that maximized the original concept and story. OR: The game is set in a “living prison” called Jail and the protagonist of the game is Jack, who is a prisoner there. How did the original idea for Mary Skelter: Nightmares come about? OR: All of the characters are named after fairy tales and fairy tale characters. What inspired that particular motif? AI: From the beginning of this project, we knew that we would include elements of Grimm’s Fairy Tales in this game. I thought the uniqueness and depth of the stories would not only complement Mary Skelter’s concept and world, but would also be a good match for the game’s dev team. I believed that pairing this theme with this type of game would offer something special the fans would thoroughly enjoy. 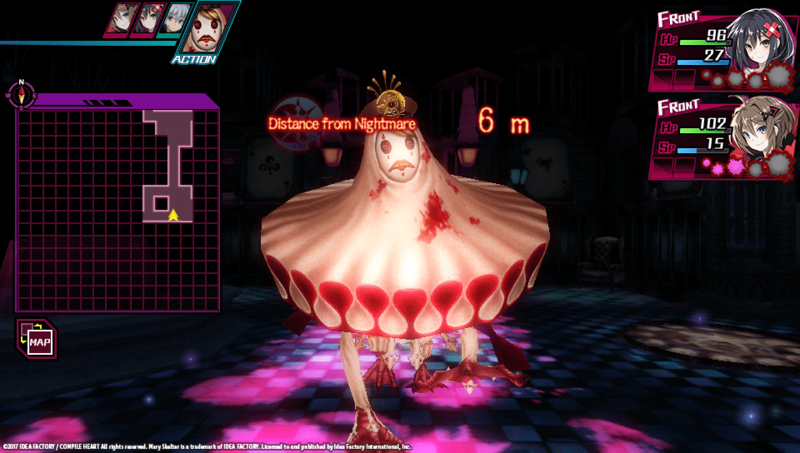 Red Riding Hood (top), Kaguya, and Thumbelina (bottom left and bottom right, respectively) are just some of the fairy tale-inspired names that are in Mary Skelter: Nightmares. OR: A light novel was released as well that ties into the game’s plotline. At what point in the game’s development was it decided to also include a tie-in light novel, and how closely did the development team work with the author on it? AI: We came up with this idea during the concept meeting. During the development of the game, we contacted the author anytime we needed his input. His input was very crucial to the game development, and it was very helpful that he was so hands-on with us. 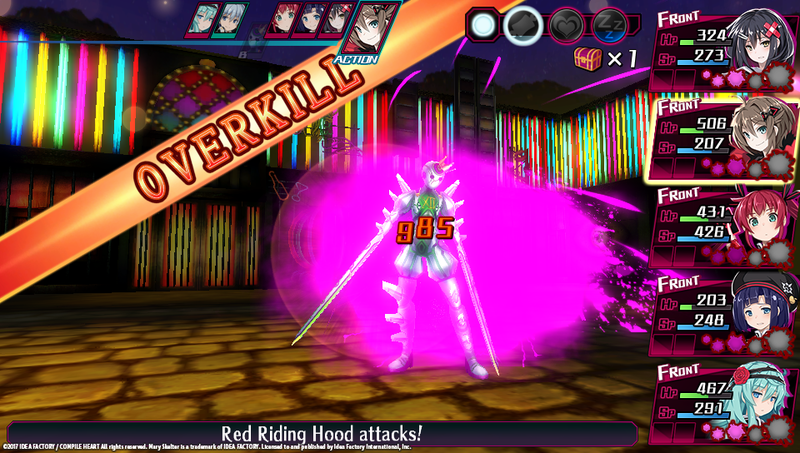 OR: Blood plays a large role in this game, from causing the Chishiki Girls Squad to enter “Genocide Mode” [OR Note: In the localization, ‘Genocide Mode’ has been renamed ‘Massacre Mode’] to obtaining blood crystals after defeating enemy Marchen in battle. Why was it decided that blood would play such a central focus in the game in such various forms? AI: The Jail, or the “living prison,” has three primal urges: Hunger, Libido, and Sleep. “Hunger” means to supply blood. I broadened the ideas from the links between the three urges and what they demand, and came up with the current system in Mary Skelter. OR: There are over twenty different jobs in this game, but each member of the Chishiki Girls Squad is limited, however, to only certain jobs within their job style. What led to the decision to constrain these characters in such a way? AI: I decided to assign different jobs in which the characters can maximize their strengths within their job categories, after considering each Blood Maiden’s respective characteristics and the game system itself. I hope that players will enjoy each character’s roles. 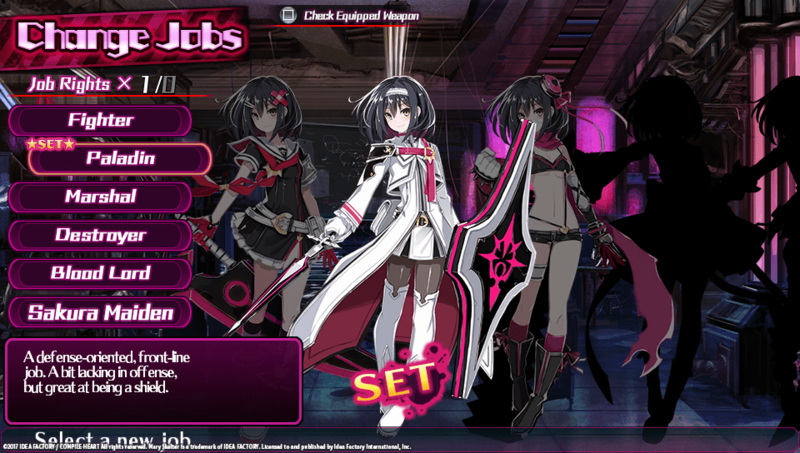 Each of the Blood Maidens in Mary Skelter: Nightmares have a multitude of selective jobs that they can choose from. OR: Are there any changes or any features left out during the development cycle that the development team wishes could have been included? AI: I think we were able to include all the cool features that we wanted to include in Mary Skelter. OR: What was the reception like for this game in Japan, and were you pleased with it? AI: We received both positive and negative feedback from fans after the release of Mary Skelter in Japan. This feedback is crucial for us to better our game development. We’ll work even harder for the next title so that everyone can enjoy it! Can you fight and kill your way out of Jail, even with the Blood Maidens on your side? OR: Are there any plans for a sequel? AI: We don’t have any plans at this moment. However, with your support, we might be able to plan something! I appreciate your support for Mary Skelter, and I hope that you will enjoy the game when it’s out in the West! All images are courtesy of Idea Factory International, Inc. Additionally, Operation Rainfall would like to extend a special thank you to Idea Factory, International and Arianne Advincula, their PR/Marketing Coordinator, for setting up this interview with Ishizuka-san. You guys rock! 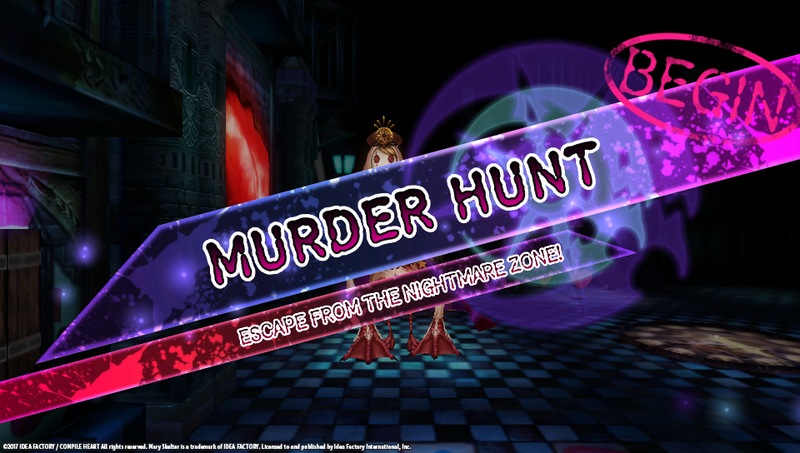 Are you planning on picking up Mary Skelter Nightmares for the Vita? What do you think of fairy tales being a naming motif for the game?